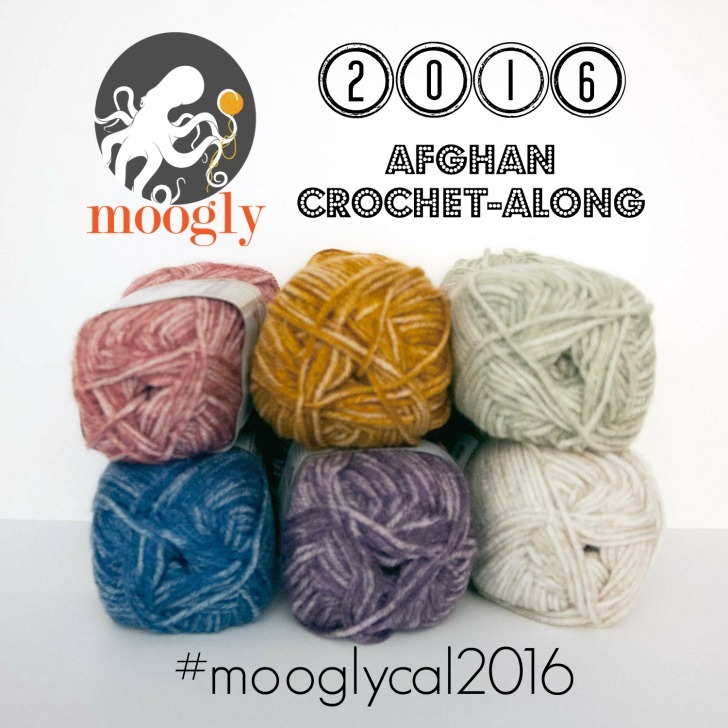 Welcome to the Third Annual Afghan Crochet-Along here on Moogly! Every year it gets a little bit better, and I’m so excited to spend 2016 CAL-ing with you! 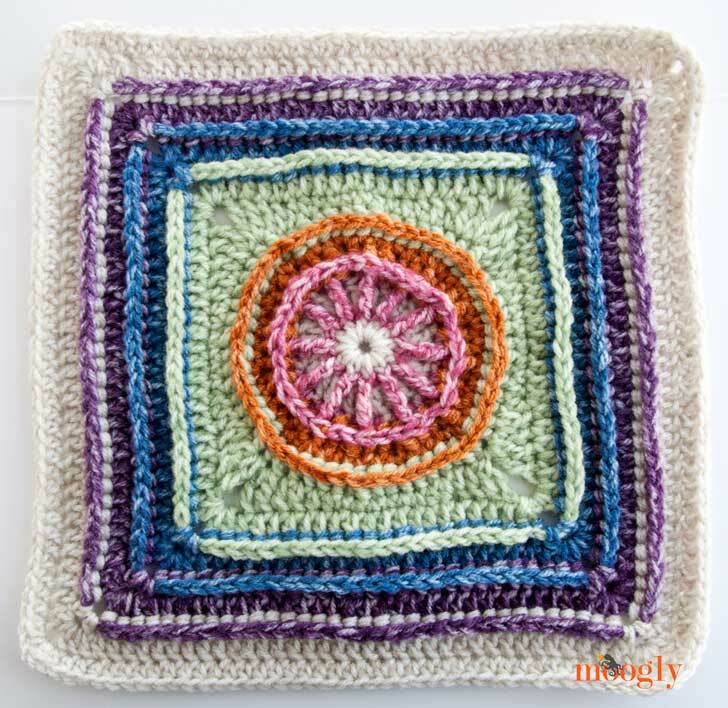 I will link to the designer’s pattern, share a photo of my version of their block, and give any helpful notes that are appropriate. 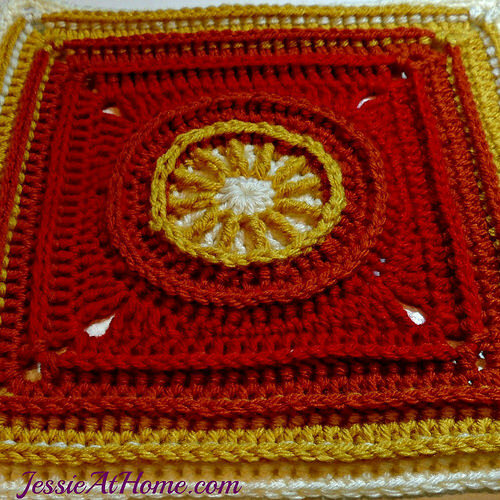 Block #1: Flame Square by Jessie Rayot, on Jessie At Home: CLICK HERE to go to the pattern page but first, read my notes below! 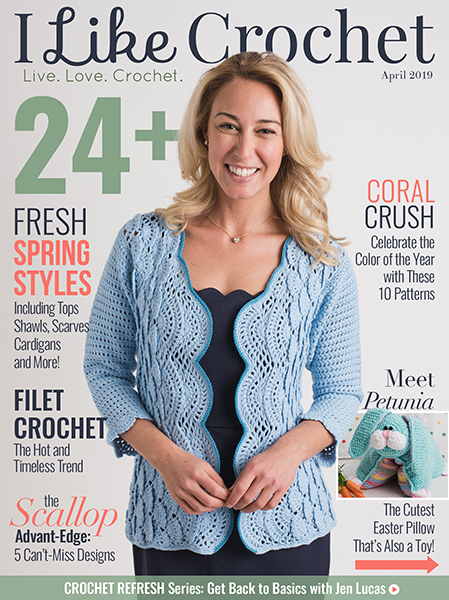 Be sure to read through the special stitch instructions at the beginning of the pattern. 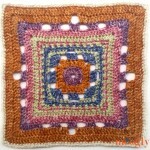 This pattern is fun, and very easy if you are familiar with post stitches! My square was coming out a little bit small, so I made the last round dc instead of sc, and added an extra round of hdc, and then it came out at 12″. But everyone is different so be sure to measure as you go! Learn more about adjusting for size HERE. Remember that the 12″ is measured across and up and down – not diagonally corner to corner. I used Lion Brand Vanna’s Choice, and my color order was as follows: Rnd 1-2: Pearl Mist; Rnd 3: Rose Mist; Rnd 4-5: Tangerine Mist; Rnd 6-8: Seaspray Mist; Rnd 9-10: Denim Mist; Rnd 11-12: Purple Mist; Rnd 13-14 (plus extra rnd): Pearl Mist. Yay!!! It’s here! Can I skip the rest of school and just crochet???? I’m a so loving the way the colors came out. I may make an attempt at doing two at the same time. Wish me luck!! This is my first CAL and I don’t have that much yarn in 6 colours in my stash, if I use more then the 6 colours and just mix and match in the different squares will it be o.k? I’m look so forward to getting started, the first square is lovely! Yea – ready to get started on this!!! This looks great. I think I’m going to use this CAL as a stashbuster (I have a lot of partial skeins of acrylic worsted, different brands) and hope the randomness works out. 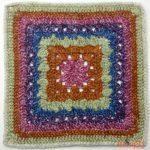 😉 Question: Should I do a gauge swatch every time I do a new square, or should my squares be pretty consistent as long as I use the same hook? Yes! Can’t wait to start. Thank you. I’m just finishing the 2015 CAL (I got a little behind…) but can’t wait to start this year’s! I just finished the first block, it’s just lovely! I can’t wait for the next block. If you have to add an additional row to meet the size requirement, won’t that mess up the stitch count for the following squares when you go to join them all? I read where you had to do the same thing. I did my last 2 rounds double crochets and still am short. I crochet tight. Thanks for your help! On the last row where the pattern called for sc, I did hdc instead. Then I did another row of single and it came out to be approx. 12″. Excited. Everyone that participated in last cal did an amazing job. Excited to take part this year. Happy to get rid of scrap! Thanks so much! Hi, the URL for Jessica’s square is coming up with a blank document on print friendly. I want to download the PDF to my iBooks. Any suggestions? I’m not sure how to make it work with iBooks, I’m sorry! You can copy and paste the directions into Word, then save the file as a pdf file . . . that’s what I did, and I am reading the pattern with my Kindle app. I love this yarn–Vanna’s Choice–especially the “mists”! 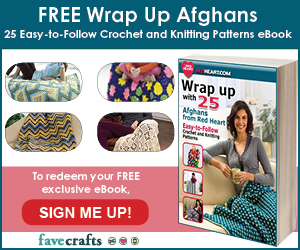 I have made hooded scarves, hats, mitts, and even a top with the mists, but not an afghan. I’m inspired to do this with you! I really appreciate the patterns you design also–thank you so much for sharing them!! Thank you! 😀 It’s my first time using the Mists and I’m really enjoying them! Okay, my count is fine on round 7, but I keep getting 21 st. instead of 22 on each side of round 8. What am I doing wrong?? Usually when this happens it’s because it’s easy to miss working into the first stitch of each side, as it can blend into the corner. Just for general planning purposes … how many tota skeins of Vanna’s Choice for the entire CAL project (range is okay)? Thank you! I went with 27 total, based on previous year’s needs. But I had some of most colors left over. How many squares of each do we do? As many as you like! Though most (myself included) will only do one. I have a bag full of jewel tone colours in DK which will make a perfect size blanket for the sofa. This will be my first “along” of any kind and the fact the pattern stays up is great as I’m not always well enough to crochet. 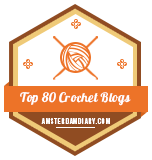 I crochet a lot from US charts so I will be able to follow easily. This will be good for reigniting my crochet (and knitting) habit as I’m half way through a lovely crochet sweater for the Mister and went a bit stir crazy doing the same two stitches. Then Christmas came along and I put it down to make gifts and just haven’t picked it up again. Luckily it’s a lightweight sweater, vital bit of clothing for the summer living on the east coast of England lol, so here begins my rather late new year resolution, to CAL and to finish that sweater! I have followed your blog for a few months now and I just want to say thank you for the wonderful patterns and great advice. Thanks so much WheelyBad! I hope your health improves in 2016! I have never participated in a CAL before, so please bear with me as I begin. I also have never, and I mean since I learned to crochet as a pre-teen, learned to make granny squares, so I am doubly challenged! Moving to new digs by the end of the month, so I am hoping to use the CAL of the week to help me unwind and decompress at the end of the day. Thanks for listening! I hope I can do this. I really do! 😀 I believe in you! This is my first time joining in a CAL, I just finished the first block and had to add a few extra rounds to have it come out to 12 inch square. I’m using a 5.5 hook and Vanna’s Choice lionbrand yarn so not sure why the extra rounds but I’m happy with the results! It’s all a matter of personal gauge – if you read the notes on the post above, I added some too! 🙂 I’m glad you like it! This is the first CAL I have done. Have been crocheting a very long time so will enjoy a challenge! I am not able to buy much wool locally in the part of the UK where I live, so have opted for a thin chunky wool and a 5mm crochet hook. Had to work an extra row to make the size correct but the first square has turned out well. Looking forward to the next one. Sounds perfect! 🙂 Thank you, I’m so glad you’ve joined in! I’m excited about this CAL – my first as a beginner – but I’m having problems just printing the pattern. It comes up blank when I try the print friendly.com + URL option and when I copy and paste as suggested. Please help me as I really want to get started. I used copy and paste to a word document, that comes up blank for you too? Hm. Maybe a screen shot? Love the pattern and can’t wait to get started. Couldn’t finish the 2015 CAL due my dads illness and passing. But plan to take the squares I did complete and make pillows out of them. ? I had to copy and paste into Microsoft word. It’s better that way. You can’t take out the unwanted ads. Sorry for your loss. It’ll be 7 years this year that I lost my dad & I know what you’re going through. Just know it’ll get easier & when you feel sad think of a good memory or what he would say to you. I can’t wait for the next square! I’m sure I won’t be saying that a couple of months down the line when I have fallen behind though lol! 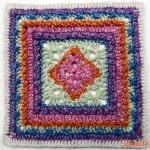 I’ve done mine in DK with a 4mm hook and has come out to 7.5 inches using the original pattern. I’ll wait to see how the next couple size up before I make any alterations. 😀 Thank you so much Laura! I’m so glad to hear it! The additional choices for blocks are listed as free but then I clicked on one and it said it cost 1.99 and was no longer free. Will you have other blocks that will be free in the event you don’t care for the block that was released that given week? The collections of free blocks are just extras I found online, not officially part of the CAL, so the designers are free to change prices and such at their discretion. I may put together a new list for this year, but at least some of the blocks in that collection should still be free. Hi. This is gonna be my first ever CALL that I attempt. I already love it and I am just about to start my first square. 😀 Welcome aboard, I hope you enjoy it! Very excited. Finished with Block #1 just in time for #2. I did learn something new with #1. 10 am central! 😀 I’m so glad you’re enjoying it! Oooooh, one more minute! I’ve been checking all morning for the pattern! LOL Glad to know it is 10:00 my time. Now I know exactly when to check! 😀 I’m so happy to see all the excitement this year! Hi I don’t seem to be able to download a PDF of the first square of this CAL, if I copy and paste the url all I get is the heading, when I go onto crafty for the advertised PDF there is a charge of £1.40 please can you help. For this one my best recommendation is to cut and paste it into a word document. HELP! This is only my second CAL, so I am totally challenged. Approximately how much yarn is needed for this CAL? I can’t find the info anywhere. 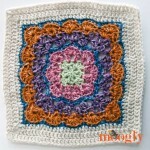 I know it depends on a lot of things, so even the amount for one square of one color will be a good starting point. I can get a better idea if I have that. Hi Eileen! 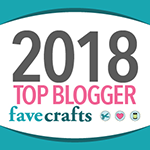 I talk about the amount here: https://www.mooglyblog.com/mooglycal-2016/ 🙂 Welcome! Hi Lesley! For some unknown reason this one is giving a little trouble, even the site owner can’t figure out why it won’t work! I recommend copying and pasting it into a word document to print it out, if you cannot work it directly from the site. Hi Barbara! 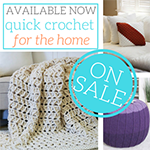 There’s no “official” way to join – you just start crocheting the blocks! 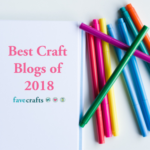 🙂 There are links to the Ravelry and Facebook groups in the blog post above, but they are optional (but also a lot of help if you get stuck on a pattern!). I hope you enjoy them! the squares are coming out absolutely gorgeous, are you planning to tell us how to join the at the end, or should i begin to attach them already now? Hi, Fairly novice crocheter, but determined! Startng this CAL this week! 😀 Welcome, thank you Jane!